Typical of everything that is so wonderful about country life, this Wellington chest of drawers would make a stunning feature in your bedroom. 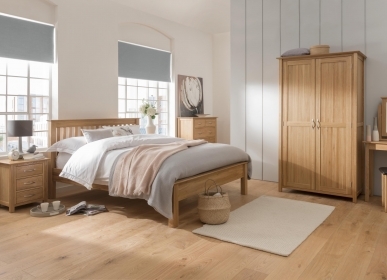 Hand built from solid American White Oak using time-honoured techniques, with an attractive brushed oil finish, it features dovetail jointed drawers and tongue and groove backs and bases. This piece of furniture is long-lasting and will provide you with plenty of storage space.